We’re more familiar with the beatitude as, “Blessed are the pure in heart, for they will see God.” (Matthew 5:8) But that’s come to mean, “Be like the nice lady who sits in front at church and only wants to pray and sing to God.” There’s definitely a blessing for that lady! But that’s not Jesus’ idea here. My Father is pouring down showers of blessing on you! 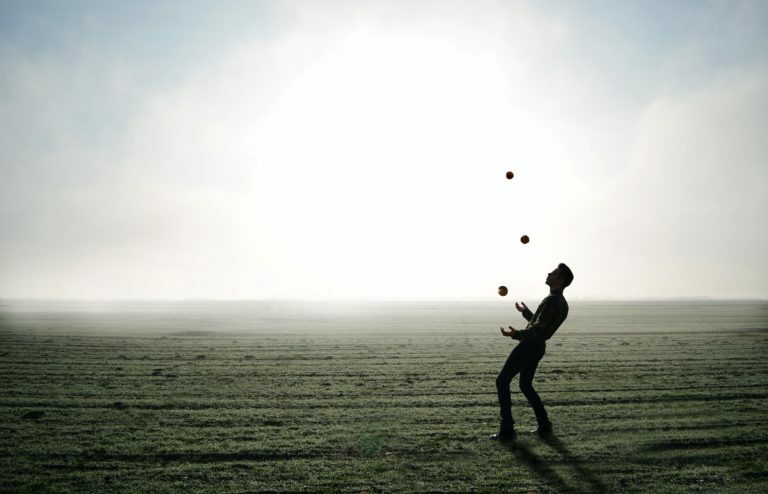 Head Types get stressed out (actually it’s stressed in) because they’ve got lots of balls they’re juggling. Those balls might be plans for fun, people to connect with, money to save, or ideas to gather, but whatever they are, there are LOTS of them! Deeper than the anxiety, the Head Types feel insecure and afraid. They feel like they don’t have enough “resources” (things they value) to be okay. Something bad is going to happen to them if they don’t get more, more, more! Head Types are complex people, problem-solvers, and deep-thinkers. They’re not simple. They’re not “pure”, meaning they don’t just want one thing. If you’ve got lots of thoughts popping in your brain or lots of things you’re jumping to do, Jesus wants to bless you too! The point of his beatitude for the pure-hearted is not, “Turn off your brain and stop multi-tasking. Just be still.” Yes, we need to learn to be still and develop a quiet mind (especially Head Types), but that’s not the point of Jesus’ beatitude. For you too can see God’s shining face! Hearing Jesus this way, calms our anxious thoughts, slows down our water-bugging, and centers our heart on enjoying God’s presence here-and-now.